After a surprisingly lengthy standoff between Zach Boychuk and the Carolina Hurricanes, the former first round pick has finally been brought back into the fold. The team announced Tuesday that they had inked Boychuk to a one year, two-way deal, officially wrapping up this round of restricted free agent negotiations. While Boychuk may have been hoping for a one-way deal like Drayson Bowman and Jeremy Welsh got a season ago, general manager Jim Rutherford has played it safe this year, with everyone. Want to thank the @NHLCanes for sticking with me. I'm looking forward to a bounce back season and proving many people wrong! Boychuk has had a tumultuous 2013, with several trips to the waiver wire, donning four different uniforms. 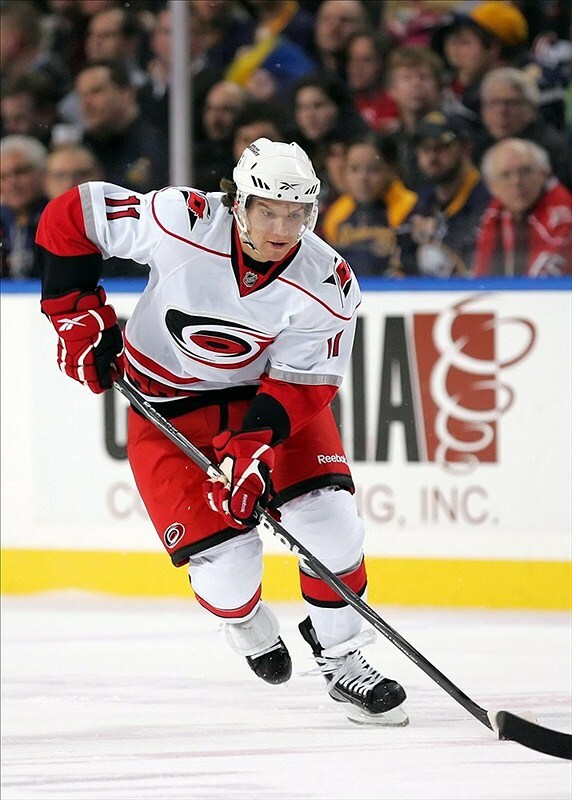 But while his sights are set firmly on making the Hurricanes again in the fall, it’s not going to be an easy task. The competition will be more fierce than ever, with several new faces joining the fold. And that’s quite alright for the Charlotte Checkers. Boychuk may have struggled to stick at the NHL level, but he’s a three-time 20-goal scorer in the AHL, topping out at 65 points in 2010-2011. A return to the Checkers may be considered a disappointment to Boychuk, but with the AHL club on the cusp of a deep Calder Cup playoff run, his scoring would be a tremendous help. Since their reincarnation, Charlotte has been one of the more frustratingly inconsistent teams in the AHL. In their first year, led by Boychuk and Chris Terry, they reached the conference finals before being swept by the eventual champion Binghamton Senators. Year two saw the Checkers struggle down the stretch, amassing a 9-12-5 record and missing the playoffs by a single point. A little too reminiscent of their parent club. Last season, bolstered by the return of Boychuk from his tour of the NHL, the Checkers returned to the playoffs by a comfortable margin. After taking a 2-1 series lead against the Oklahoma City Barons, the defense utterly fell apart in the final two games, losing by a combined score of 14-3–at Time Warner Cable Arena in Charlotte, no less. Whether or not Boychuk makes the Canes, his signing will have a positive impact on the Checkers. Should Boychuk land a permanent NHL job, he will force another talented scorer like Bowman or even new signee Nathan Gerbe to Charlotte. Competition is going to be the name of the game when the Canes’ open camp in September, and both clubs stand to benefit as a result. A full year of Ryan Murphy, along with the additions of AHL veterans Matt Corrente and Mark Flood, should aid the ailing Charlotte defense that eventually caused their downfall a season ago. With both franchises–and even Boychuk, for that matter–in a bit of a make-or-break era, success will be paramount. This may be Boychuk’s last real crack at an NHL career, so he has to make the most of it. Both the Canes and Checkers will be counting on it.